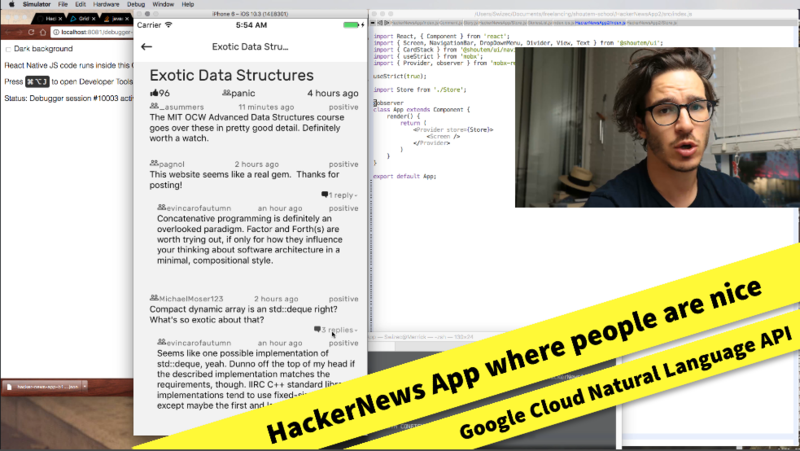 This week’s app idea comes from Dan Abramov: A Hacker News app where people are nice. We’re going to use HN’s official Firebase API to load stories and comments, Google’s Natural Language API to hide negative comments, MobX for state management, Shoutem UI Toolkit for styling, and react-native-htmlview to render HTML as a tree of native Text components. Our HackerNews app where people are nice lets you browse stories by category and read their comments. Each comment shows whether it is neutral or positive. Negative comments are hidden. Posting comes later, this is an MVP. Click “3 replies”, 1 shows up. Click “1 reply”, 0 show up. 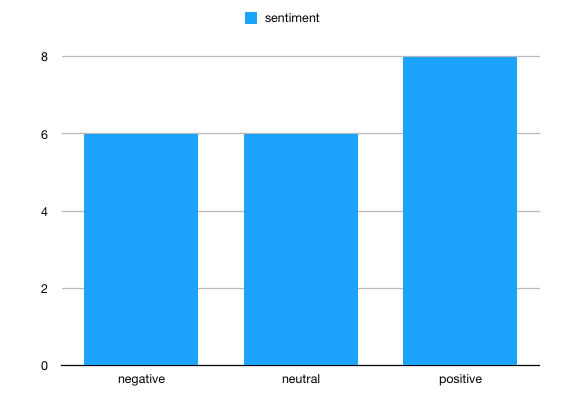 That’s Google’s Sentiment Analysis hiding things that are negative. You’re welcome. To be honest, I was surprised by the amount of negativity on Hacker News. I knew it was bad, but I didn’t think it was that bad until I ran it through Google’s Natural Language API. Here’s a quick breakdown for a frontpage story, “Using Tesseract OCR with Python”. Somebody shares what they’ve built: 6 negative comments, 6 neutral comments, 8 positive comments. Let’s build our app. You can see the full code on GitHub.